After initially only needing a section of its roof restored, Williamstown Town Hall in Melbourne has recently undergone a large scale heritage refurbishment that has given it a new lease of life. 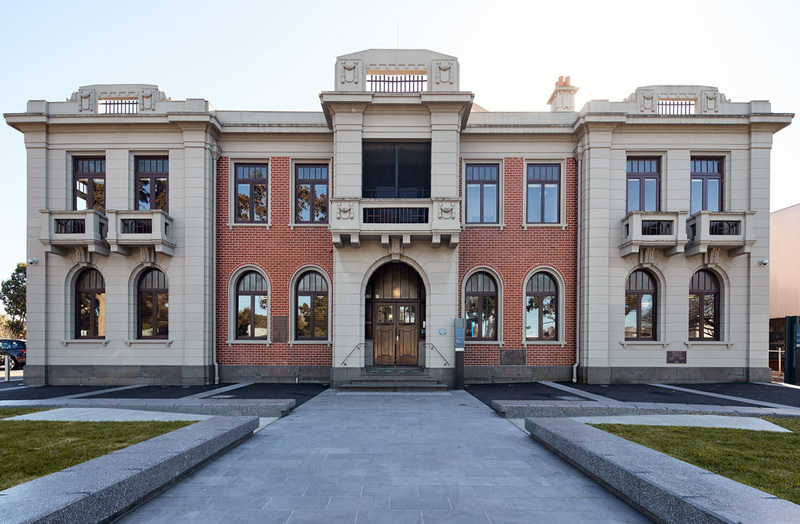 Originally constructed in 1918, the 100-year-old building had reached the end of its technical life when Hobsons Bay City Council approached k20 Architecture. What began as a relatively simple brief turned into an eight-year process of building rejuvenation and modernisation. The restoration took place in three stages: the first involved restoration of the deteriorated roof, electrical rewiring and new mechanical services throughout. The second stage was the restoration of the interior’s ornate ceilings, timber panelling, original floor and wall tiling, and upgrading in line with BCA and DDA requirements while respecting the heritage status of the building. The third stage involved roof repair and upgrade: all tiles and roof battens were replaced and the parapets and thermal chimney were restored. “When people who haven’t been here for a number of years see it again, they are so impressed by the result. But people seeing the Town Hall for the first time just assume we’ve looked after it really well,” says Angela Altair, the Mayor of Hobsons Bay City Council. The restoration of Williamstown Town Hall was a huge commitment for the council, says k20 Architecture, with the practice supporting Hobsons Bay City Council in ensuring its authenticity, yet designing it to perform like a building of the twenty-first century. Cr Altair adds, “k20 Architecture did a fantastic thing and took a strong approach to sustainability by limiting the use of ‘new’ products, such as sourcing antique fireplaces from local resellers and reactivating the old thermal chimney”. The modernised spaces have proven themselves versatile, supporting use by Council staff, the community and school events, weddings, operas, citizenship ceremonies and more. Is poor design to blame for Melbourne’s drop in Liveability Index?